After leaving Bangkok, we headed north towards Ayutthaya, stopping at the Bang Pa-In Royal Palace on the way. 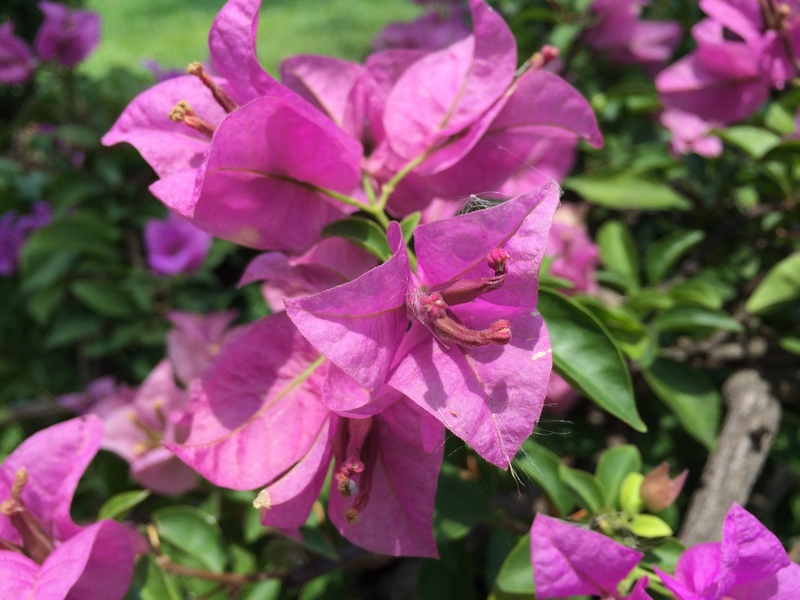 The Bang Pa-In Royal Palace, also known as the Summer Palace, is a huge palace complex with beautiful gardens. You can rent golf carts to get around, which you might want to do on a hot day as there isn’t much shade in the complex. 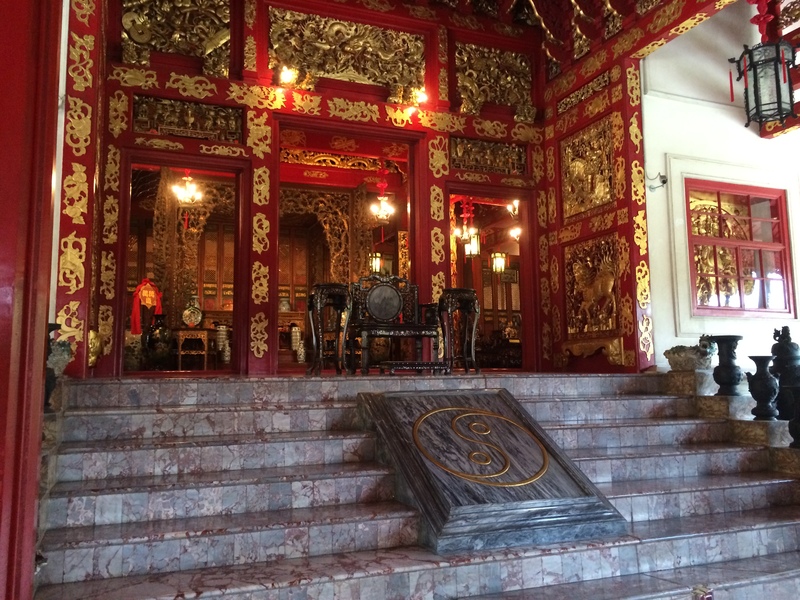 There is only one building you can go inside, which is a Chinese style palace and throne room. You must take off your shoes to go inside and no photos are allowed inside either. 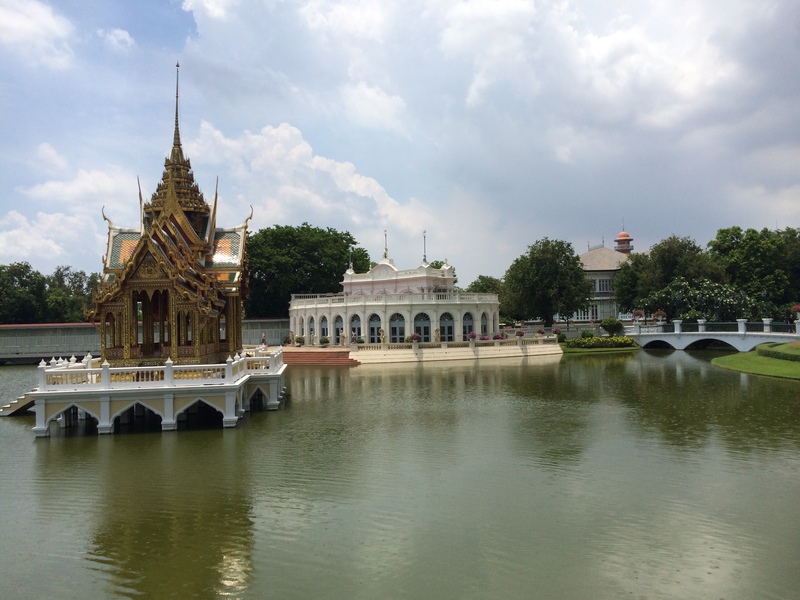 Right next to the Bang Pa-In Palace is a gothic inspired temple called Wat Niwet Thammaprawat. This temple is on a small island, and the only way to get across is on a hand-operated open-air cable car, which is operated by the monks. 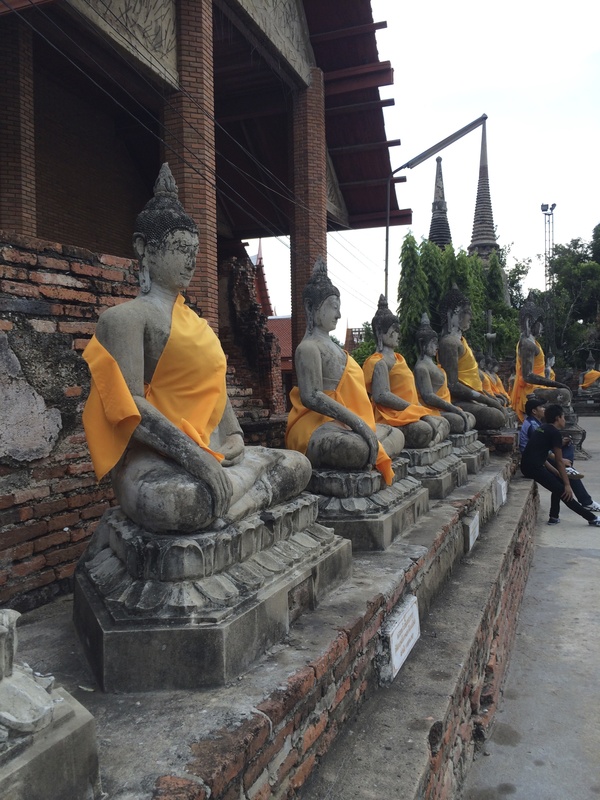 Just north of Bangkok is the city of Ayutthaya, a UNESCO World Heritage Site. 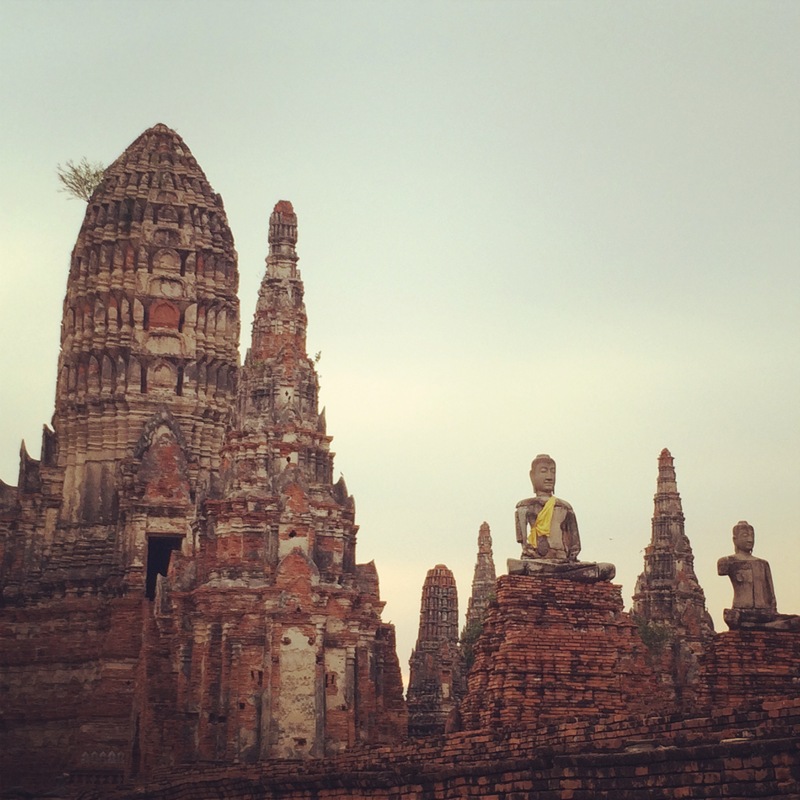 Ayutthaya was one of the world’s largest and most cosmopolitan urban areas, and it was the capital of Thailand from the 14th to 18th centuries. The city was attacked by the Burmese army in 1767 and was burned to the ground. As the city was never rebuilt, the city is now known for its extensive ruins and continuing archaeological excavations. 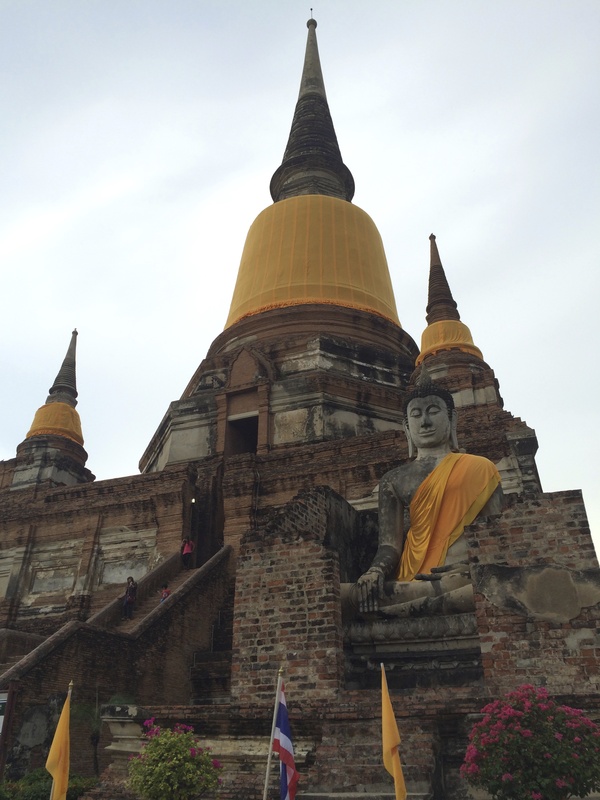 The most well-known temple in Ayutthaya is Wat Chai Watanaram. 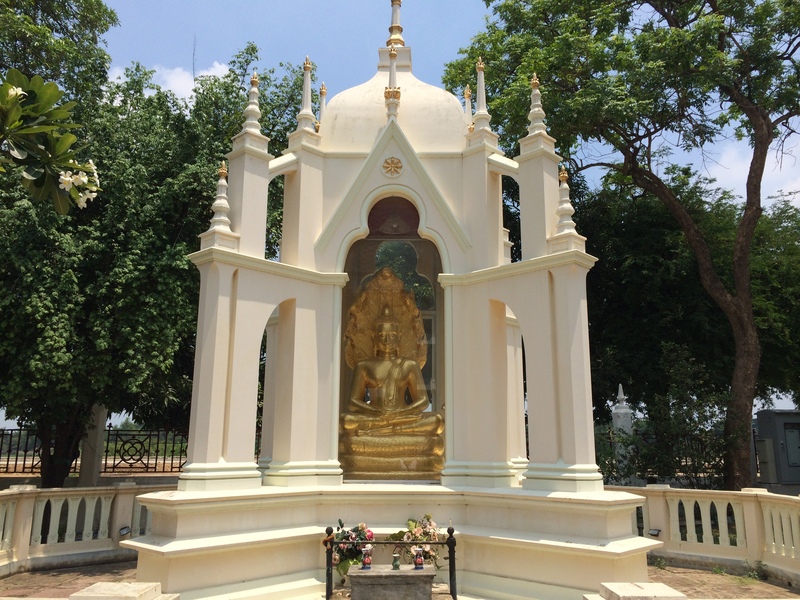 We also visited Wat Yai Chai Mongkhon. 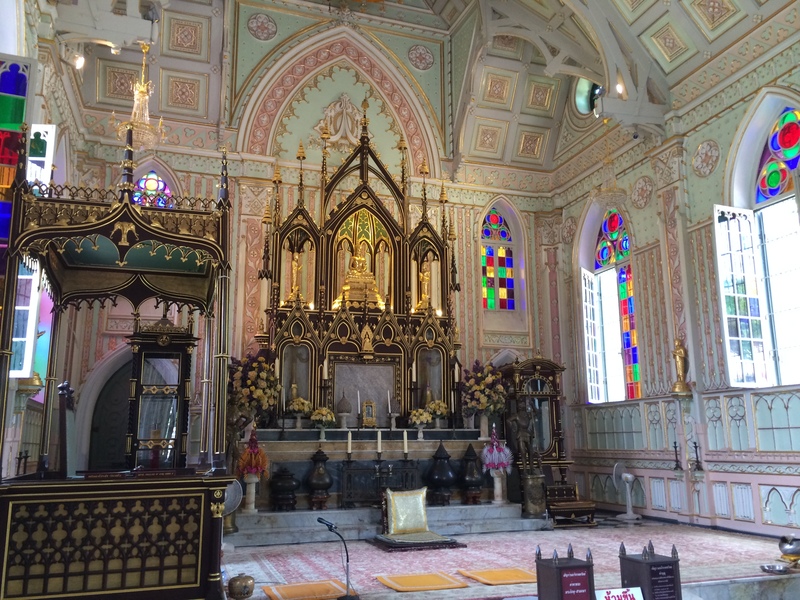 This temple is an active monastery and it was one of my favourite places to visit. 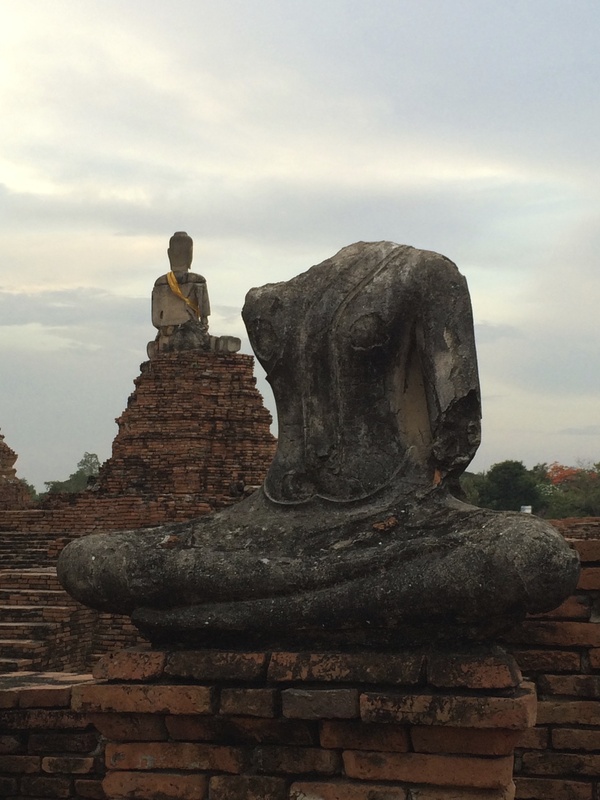 The next post will be about Lopburi (monkey town!) 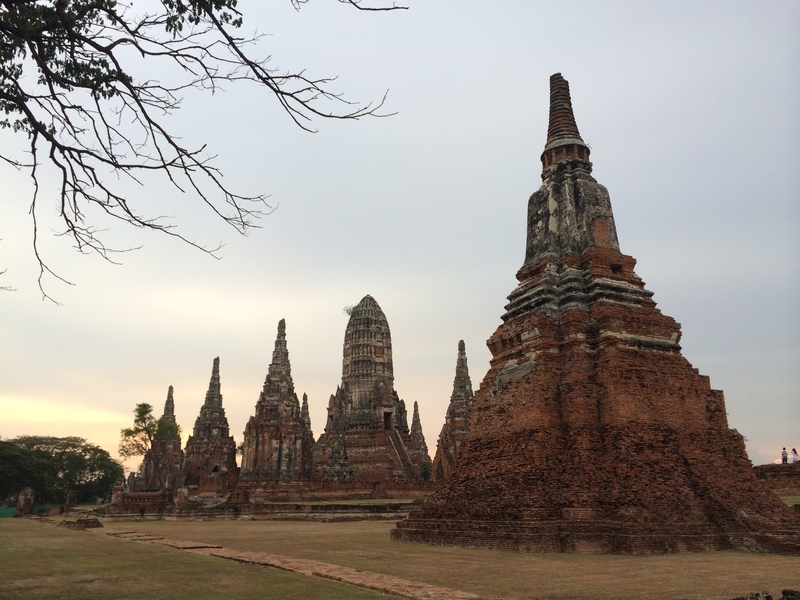 and Sukhothai. Ill look forward to your Lopburi post. I lived there for a while.